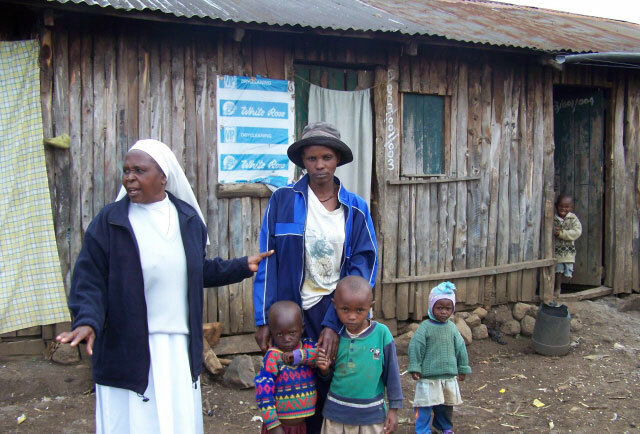 A desperately poor community located just outside of Nyeri in central Kenya, Mweiga is home to the Gikomo slum. To better serve the needs of those in residents there, the Missionary Sisters have established Mary Immaculate Hospital, the Divine Shelter of Love Orphanage as well as a primary and secondary boarding schools. Mweiga is also home to the St. Theresa’s Novitiate for those young women aspiring to become Missionary Sisters of Mary Immaculate. YOU CAN SPONSOR A CHILD IN MWEIGA TODAY!